Do you only sell in certain areas like Applewood or Cherry Creek? 1.) What are the first steps in the home buying process? You will want to begin the process by doing your research on your relative market trends and listings in the area. The first big to-do will be figuring out how much you are wanting to spend on your home, and the Pre-Approval process for your Mortgage. Once you have applied, Amie will help you from there in finding your dream home, free of hassle. Check out this convenient Affordability Calculator. 2.) How much do realtors charge? Nothing. The best part about using a real estate agent, in particular Amie at D Town Listings, is that they are free of charge! They simply take a small commission from the sellers, at no extra price to you. 3.) How long will it take for D Town Listings to help me find my dream home? On average, Amie helps buyers find their dream home within a very minimal timeline. With her extensive knowledge and constantly updating listings, Amie will help buyers find the home of their dreams according to their specifically desired timeline. 4.) What makes Amie at D Town Listings the real estate agent for me? Amie is unique in that she comes from a design background. With this viewpoint combined with her extensive expertise in the Denver market, Amie is able to find options for buyers that they never would have imagined could work for them. She is able to show her clients property opportunities using a creative perspective. Lastly, being raised in Denver, Amie knows every in and out of the Denver Metro real estate market. You will understand immediately that you are in good hands. ​ Check out client testimonials for yourself! 5.) I am a first time home buyer. Can you help me? Absolutely. 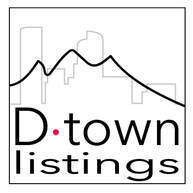 D Town Listings absolutely loves helping first time home buyers through every step of the process. Amie will handle all of the complicated logistics, in order to make your first experience purchasing a home one of convenience and ease.